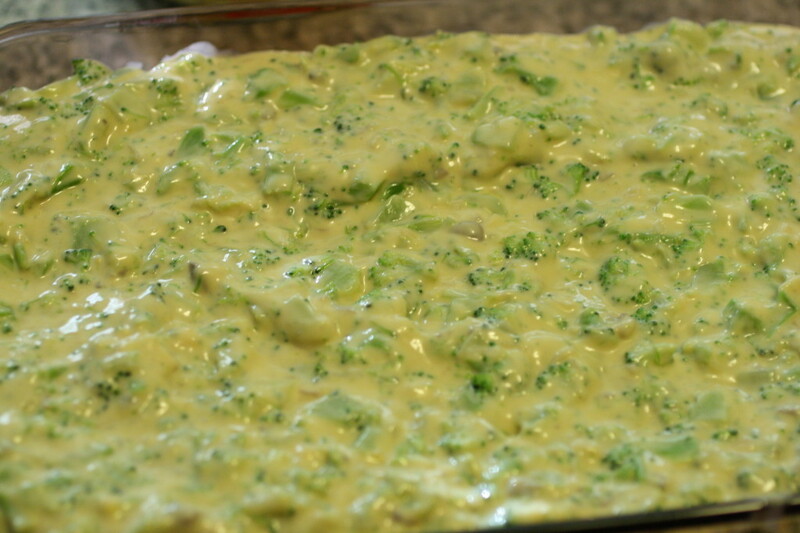 This Easy Broccoli Casserole Recipe is a family favorite! My family has been having this dish at holidays and special family events since I was very young and it is a staple in our family. A great twist with this recipe is that you can add in leftover turkey or chicken and it turns this from a side dish to a main meal! I start off by thawing and cooking two boxes of chopped broccoli in the microwave. Once cooked, drain well, and place in a mixing bowl. 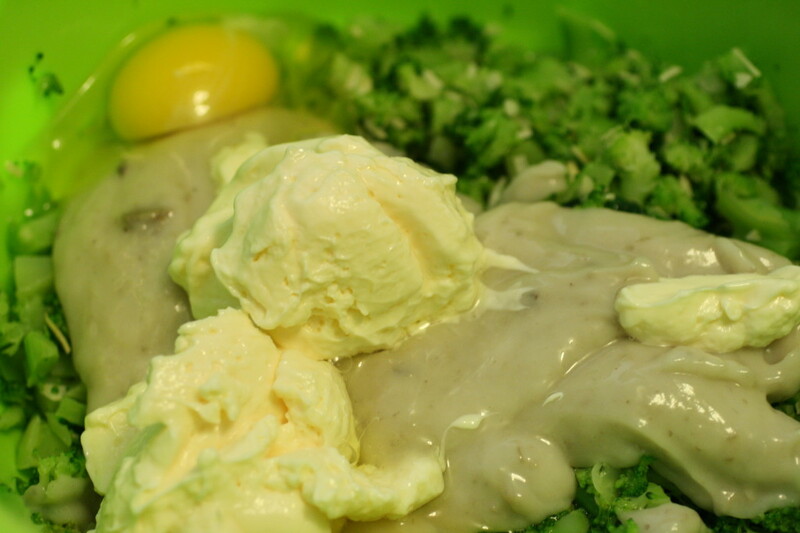 Add in the minced onions, mayonnaise, egg, and cream of mushroom soup. Mix well. Then add in the Cheese Whiz! Again, mix well and pour into a casserole dish. You can either top the casserole with stuffing mix or crushed up Cheese Its, whichever is your preference. 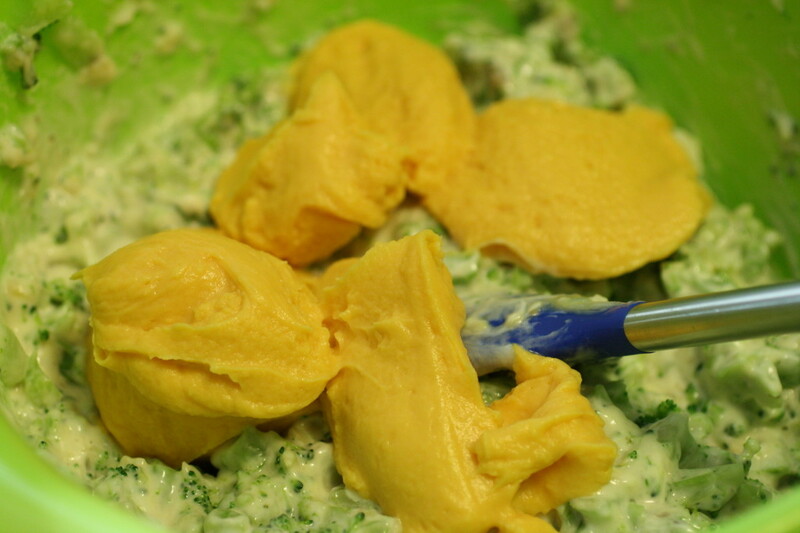 We always use the stuffing mix and it gives it a nice crunchy element! Bake in a ˚400 oven for 30-40 minutes. If the topping begins to get to brown, you can cover loosely with foil. 1. 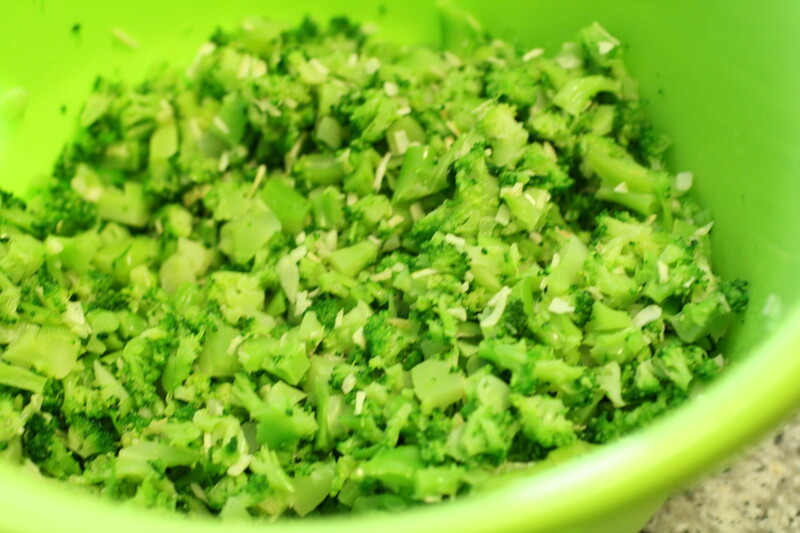 Thaw and cook the two boxes of broccoli in the microwave. Drain well. Place in a mixing bowl. 2. Combine the mayonnaise, onions, cream of mushroom soup, and eggs. Mix well. If you are adding in chicken or turkey, add that in this step. 3. Add Cheese Whiz and mix again. Add a pinch of salt and pepper. 4. 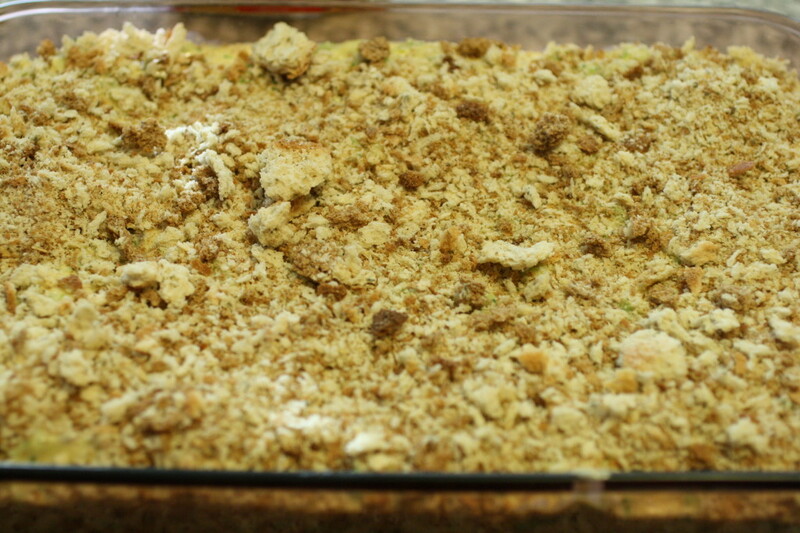 Place in a casserole dish and top with the stuffing mix. 5. Bake at ˚400 for 30-40 minutes, until the middle is set.